Although I went on a busy day (valenties day) but did not have a great experience. started with getting a bad corner, then not so great food. Not a bad place at all but may be just not my day. superb place in the hands of bad management! 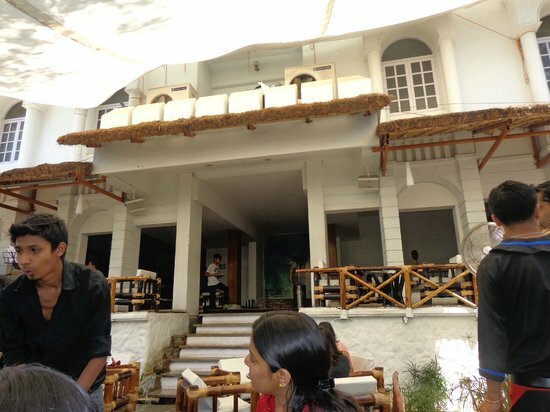 2013..the place was perfect for a sunday brunch with amazing infrastructure..great staff..continental buffet and amazing drinks!! 2015..the place is a sad horribly managed repelling restaurant. I hope the management revives the glory of the place..I would then surely revisit! 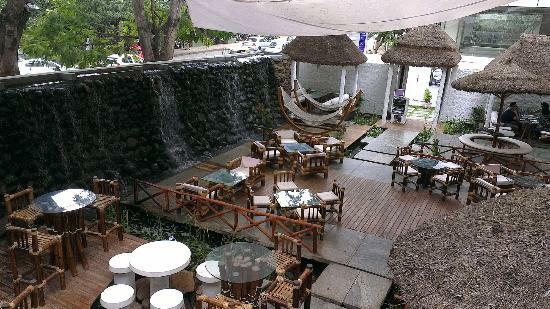 The ambiance of the restaurant is quite pleasing with fountains and lights. The non-vegetarian food is good, too. It is a place that looks its best during the evenings. Get quick answers from The Island staff and past visitors.